Bio: Dr. Stacy Maugans teaches saxophone and music theory at Valparaiso University and at the Lutheran Summer Music Academy and Festival. An active recitalist, adjudicator and lecturer on the history of saxophone in Russia, Dr. Maugans has performed internationally in Russia, Tanzania, Malta, Germany, France, Slovenia, China, and Thailand. Her performances have included commissions and premieres of works by Jillian Whitaker, David DeBoor Canfield, Benjamin Krause, James Barry, Shih-Hui Chen, Karen Olsen, Michael Boo, and Deborah Monroe. 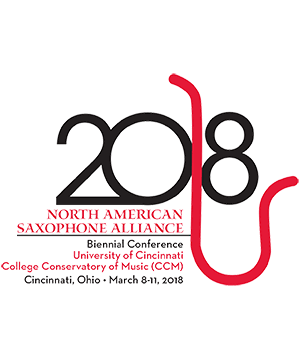 She is the recipient of the Valparaiso University Excellence in Teaching Award and has served the North American Saxophone Alliance through past terms as Treasurer and Editor of The Saxophone Symposium. Her primary saxophone teachers were Dr. Eugene Rousseau at Indiana University and Dr. Joseph Wytko at Arizona State University. Her hobbies include running and volunteering with her Belgian Tervuren as a Pet Partner Team. Benjamin Krause Piano Benjamin Krause’s work has been recognized by the Houston Symphony, the Presser Foundation, . . .